Adolescents (ages 10 – 19) and young adults (ages 20 – 24) together compose about 21% of the population of the United States. As consecutive life stages, adolescence and young adulthood mark periods of developmental transition from childhood to full-fledged adulthood; the experiences that take place and the behavioral patterns that form during these years can have lasting effects on adult health, well-being and productivity. In general, young people who have sound health and rich developmental experiences during these years are well on their way to a thriving adulthood. Too many young people, however, encounter harsh social adversities and may engage in behaviors that jeopardize their health and safety; the trajectory of their adult lives may be marred by the development of serious chronic disease, poverty, foregone opportunities, and a variety of legal and social problems that place a financial burden on them as well as society. Eliminate disparities of health, safety and well-being among adolescents and young adults in order to achieve equity. The National Adolescent Health Information and Innovation Center (NAHIC) collects, synthesizes, coordinates and disseminates information relevant to the health, safety, development, and social and economic well-being of school-aged children in transition to adolescence, adolescents, and young adults. The Public Policy Analysis and Education Center for Adolescent and Young Adult Health (Policy Center) analyzes the effects of public policies, regulations and practices at the community, state and federal levels on the health, safety, development, and social and economic well-being of school-aged children transitioning to adolescence, adolescents and young adults. The Policy Center disseminates its findings and products in formats useful to policy- and decision-makers and works to ensure the active transfer of knowledge about effective policies and programs to these leaders. The Adolescent Health Resource Center for State Maternal and Child Health promotes State Title V Maternal and Child Health (MCH) Program core capacity in adolescent and young adult development, health, safety and well-being, and assists states in developing strategies for improving measurable health, safety and developmental outcomes for these population groups. The Partnership to Promote Adolescent Health in States supports a national membership association to assist its members and affiliates in developing improved approaches for delivering adolescent and young adult public health programs at the state level. The grantee works to promote the importance of investing in adolescent and young adult health among state officials and administrators who serve youth and their families. In this section we define some key terms related to OVC and describe the main OVC categories. To learn more on how to define OVC, see the attached OVC presentation. For a list of the main shocks to which OVC are particularly vulnerable, see the section on SRM. The concept generally refers to orphans and other groups of children who are more exposed to risks than their peers. 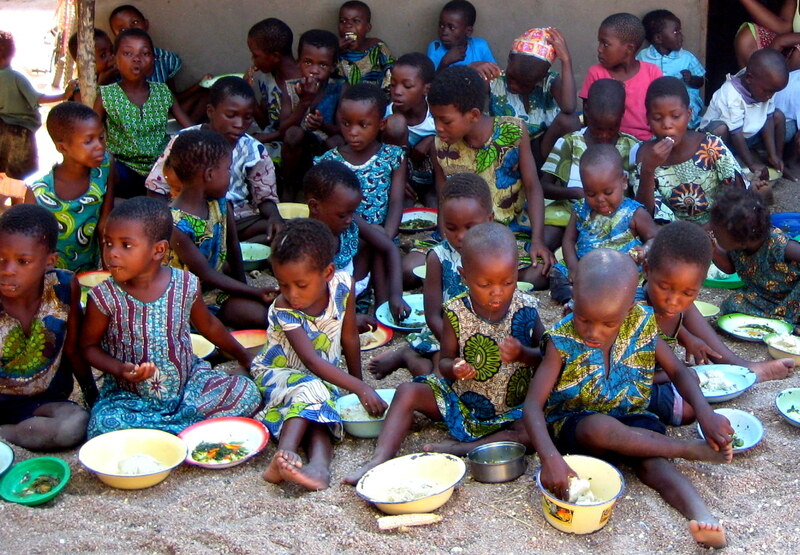 In an operational context we can say that they are the children who are most likely to fall through the cracks of regular programs, or, using social protection terminology: OVC are groups of children that experience negative outcomes, such as the loss of their education, morbidity, and malnutrition, at higher rates than do their peers. To be protected from negative outcomes and/or allowed participation, OVC need to be given special attention to remove the barriers that stand in the way of their equal participation in projects designed to benefit all children, or through special project components and targeting strategies tailored to their needs. The widely ratified UN Convention on the Rights of the Child states that a “child means every human being below the age of eighteen years unless under the law applicable to the child, majority is attained earlier”. The World Bank’s draft document “investing in Children and Youth: A Strategy to Fight Poverty, Reduce Inequality and Promote Human Development” defines children as age 0-14 and youth as 15-24. With regards to OVC, appropriate age definitions tend to be category specific. Orphans, for instance, are mainly counted as 14 and younger. Child soldiers, on the other hand, normally include children up to the age of 18, since the great majority of child soldiers are between the ages of 15 and 18. In projects for street children it is even common to include youth up to the age of 22. For assessing child vulnerability issues in general, we suggest using the UN definition (under 18), adjusting for important group specificities and being sensitive to definitions used by local government and implementing partners. The UNICEF, UNAIDS and USAID joint report on orphan estimates and program strategies, Children on the Brink [NB! Heavy! ], defines an orphan as a child 0-17 whose mother (maternal orphans) or father (paternal orphans) or both (double orphans) are dead. This remains the official definition. The concept of “social orphans” is sometimes used to describe children whose parents might be alive but are no longer fulfilling any of their parental duties (e.g., drug addicts who are separated from their children with little chance of reunion, parents who are sick or abusive or who, for other reasons, have abandoned or largely neglect their children). In this toolkit we understand vulnerability to mean “a high probability of a negative outcome”, or an expected welfare loss above a socially accepted norm, which results from risky/uncertain events, and the lack of appropriate risk management instruments. This is consistent with the definition used in the Bank’s social protection framework for social risk management (Holzmann and Jorgensen 2001). Vulnerability is shaped by risk and stress characteristics such as magnitude, frequency, duration, and scope, to which individuals, households and communities are exposed. Therefore, the degree and type of vulnerability vary overtime and between countries and are highly contextual. This implies that vulnerability is a relative state – a multifaceted continuum between resilience and absolute helplessness. Compared to adults, all children are vulnerable by nature, but some children are more critically vulnerable than others. Child vulnerability is a downward spiral where each shock leads to a new level of vulnerability, and each new level opens up for a host of new risks. In other words, the probability of a child experiencing a negative outcome rises with each shock. At the bottom of this spiral we find children who live outside of family care or in situations of severe family abuse and neglect. OVC interventions can be made at all levels to prevent (a further) increased vulnerability, or to mitigate the effect of likely shocks. The higher up in the spiral the intervention is made, the more cost-effective it is likely to be. OVC should preferably be assisted before they have reached the most critical stages of vulnerability, because interventions aimed to rescue and rehabilitate the most critically vulnerable children tend to be too expensive to be sustainable and moreover have low rates of success.